If you thought the age of the great American touring sedan was over, have we got news for you: the beautiful, nimble, comfortable, quick 2019 Chrysler 300! Beautifully designed and affordably priced, the 2019 Chrysler 300 can take your driving experience from blah to blast in no time flat! Want to buy a 2019 Chrysler 300 in Fayetteville, Arkansas? Then make the short drive to McLarty Daniel CDJRF of Springdale for a test drive! Until then, check out our selection of 2019 Chrysler 300 models right now! REFINED DESIGN: For over 60 years, the Chrysler 300 nameplate has been shorthand for beautiful design and luxury. That long tradition of greatness continues with the 2019 Chrysler 300. Featuring a sharp and aggressive silhouette that looks like nothing else on the road, the 2019 Chrysler 300 is designed to impress, from the classic grille and winglike headlights up front to the short muscle car-inspired rear decklid in the back. A wide, confident beltline gives the 2019 Chrysler 300 a solid, grounded look, while alloy wheels in nine different, eye-catching designs bring the bling. Want an even bolder look? Check out the incredible 2019 Chrysler 300C, with a platinum chrome grille and details the up the ante on elegance. STIRRING PERFORMANCE: The 2019 Chrysler 300 proves that a car doesn’t have to be cartoonish to have big muscle. Underneath that beautiful exterior design beats the heart of a champion, with the legendary power of the available 5.7-liter Hemi V8, churning out best-in-class 363 horsepower and 394 lb.-ft. of torque, for performance that can put a smile on your face in no time flat. Helping put that power where you need it is the 2019 Chrysler 300’s available advanced all-wheel-drive system, which sends torque to all four tires when it senses a low-traction situation, and then disconnects the rear drive wheels when torque needs are less, for the best in AWD traction when you need it without the corresponding loss in fuel economy when you don’t. CUTTING EDGE SAFETY: Safety is always job one for any great car, and the 2019 Chrysler 300 has your back with over three dozen standard and available safety features. In addition to a full complement of advanced airbags, the 2019 Chrysler 300 takes safety high-tech with driver assistance and accident-avoidance features like LaneSense lane departure warning to alert you if you are unintentionally driving out of your lane. Helping you master stop and go traffic on the freeway without the hassle is the 2019 Chrysler 300’s adaptive cruise control, which can sense the speed of cars around you and keep up with traffic, even if the cars ahead slow down or stop. Helping you merge with confidence, meanwhile, is the available blind-spot monitoring system, which uses sophisticated sensors to alert you to cars that might be lurking in your blind spot. 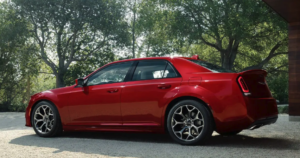 We don’t have enough room here to list all the ways the incredible 2019 Chrysler 300 sedan can bring the joy back to driving for you. 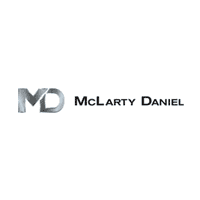 The best way to find out how is to stop in today at McLarty Daniel CDJR of Bentonville for a test drive, so you can see for yourself. Ready to buy a 2019 Chrysler 300 in Fayetteville, Arkansas? We’re ready to help you do just that, with unbeatable deals, and impeccable service after the sale. Come see us, and discover the difference that sets us apart.